And I am happy to say I have been selected for a third term. With a new term comes a new look for my blog too! 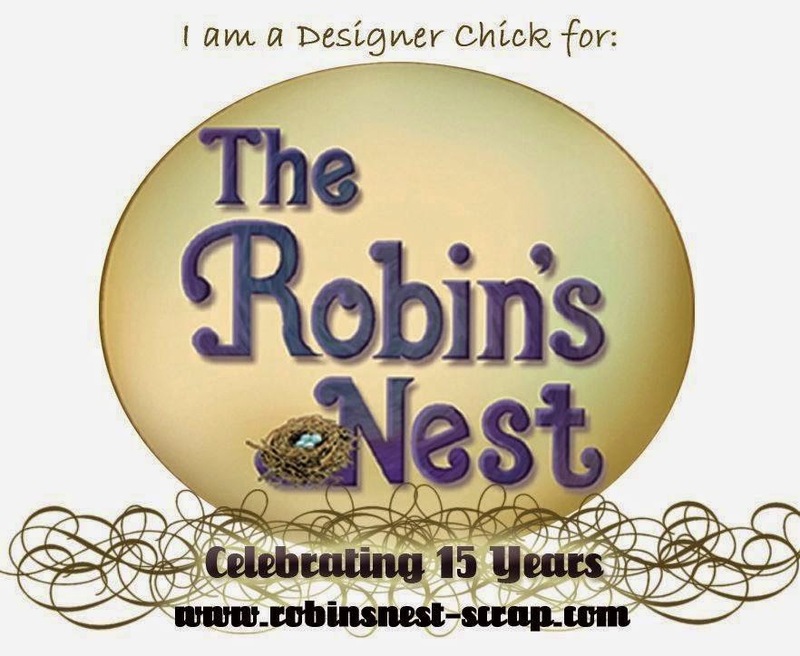 I am looking forward to sharing all the wonderful products from The Robin's Nest through my designs and those of the other fabulous Design Team Members. 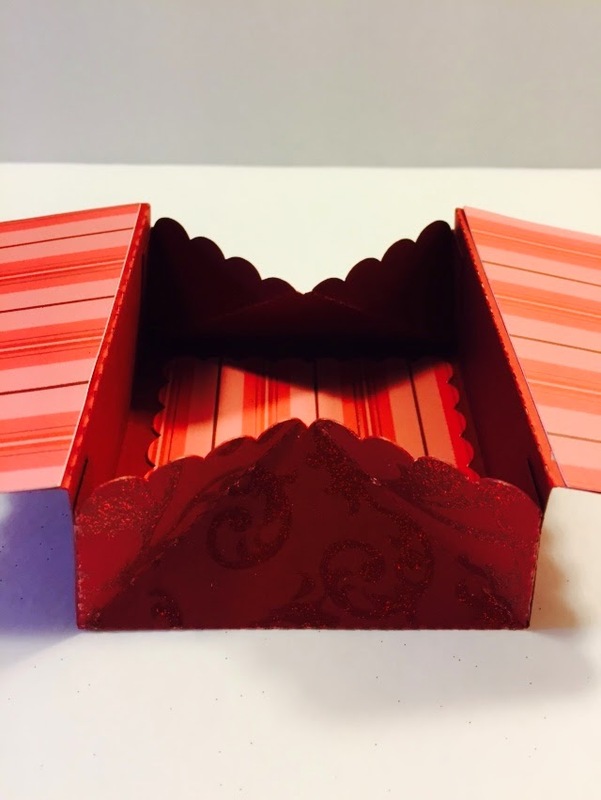 Visit The Robin's Nest Blog and see for yourself what's happening! Hope you come play along! 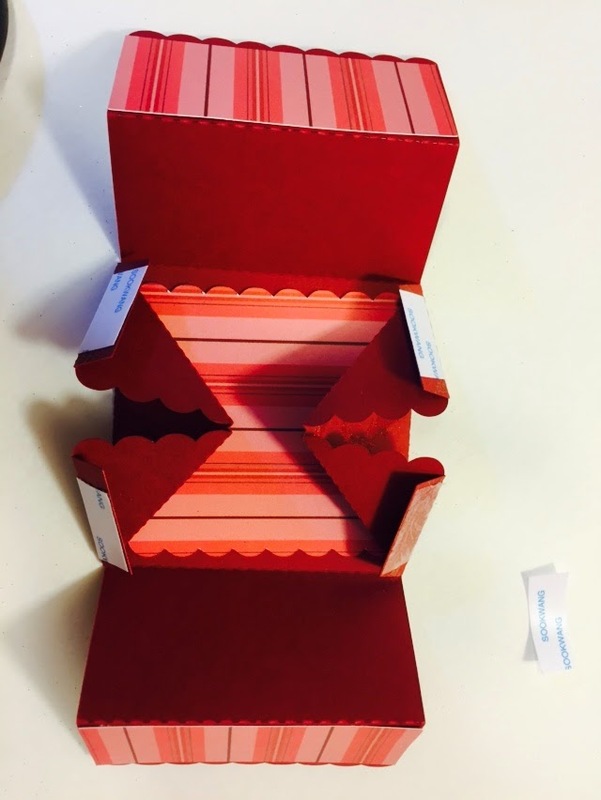 A 3D Box Card for a Special Surprise! Hi, all. 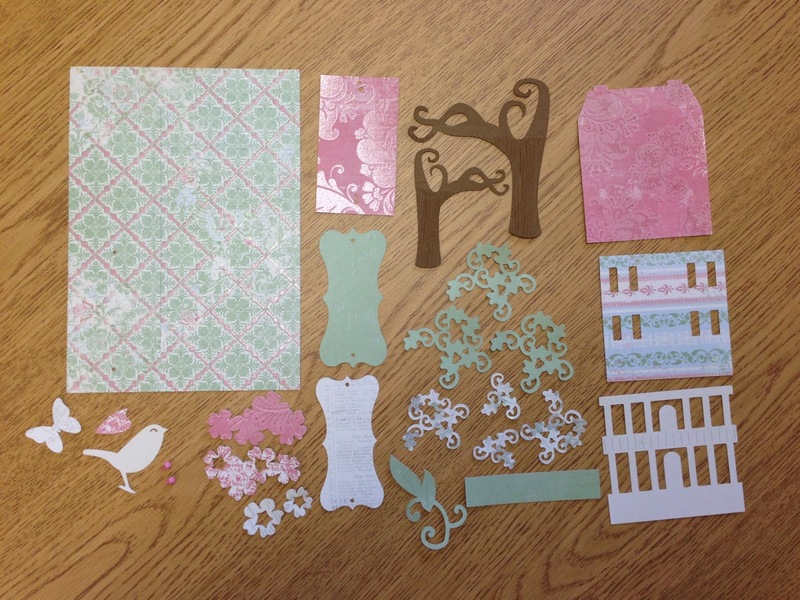 So glad to be back crafting after such a long time. 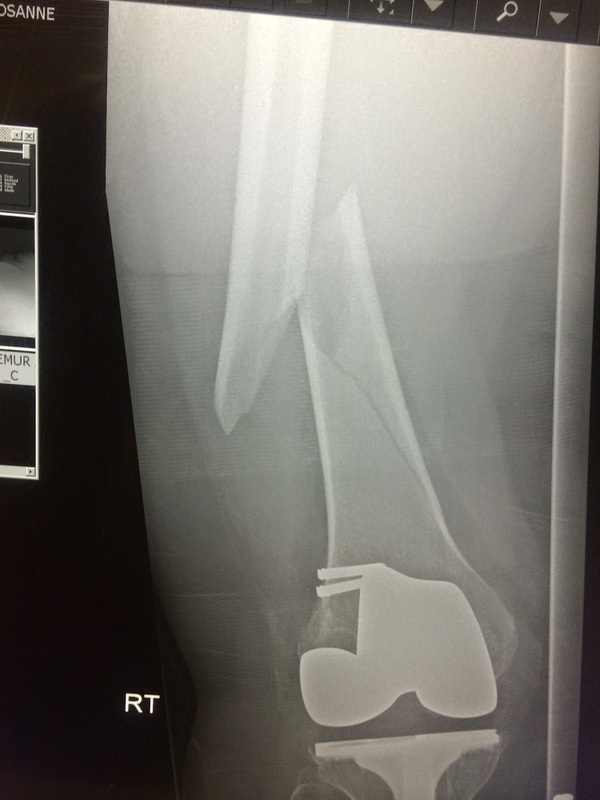 Followers know that I broke my femur back in the middle of May and have been out of commission. Remember this? 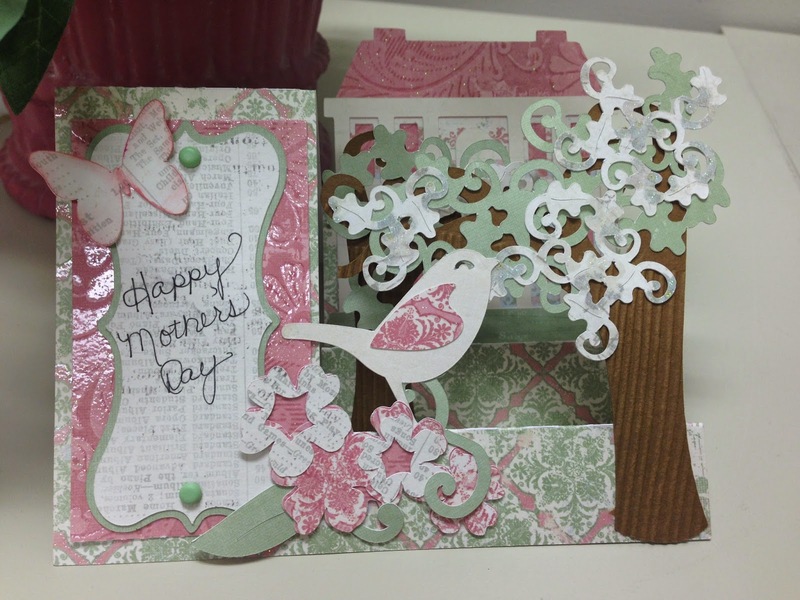 The card I'm featuring today is made with The Robin's Nest cardstock. 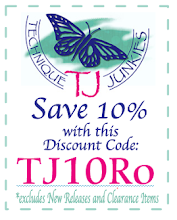 I love their products and was very happy to be able to play with them again. I am applying for the Design Team again, so here is my project. 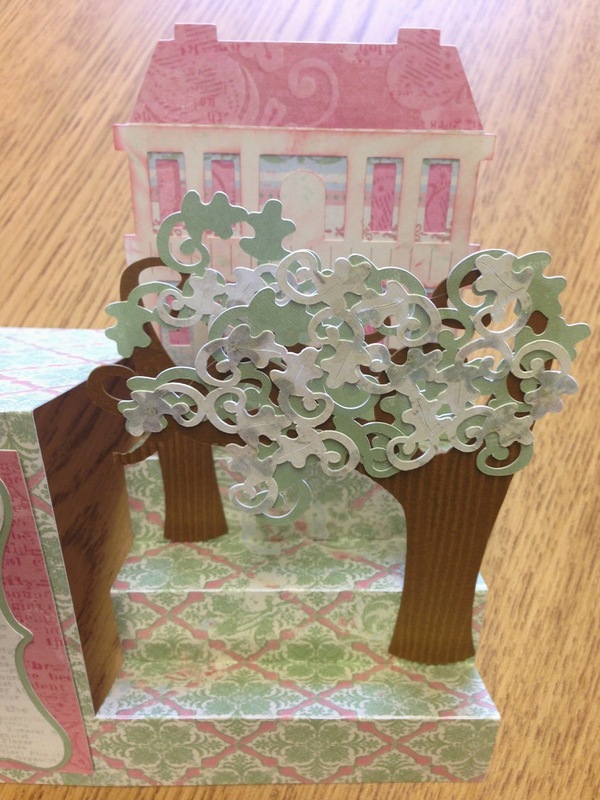 To start with, I used my Silhouette Cameo to cut a 3D Box Card designed by Samantha Walker. 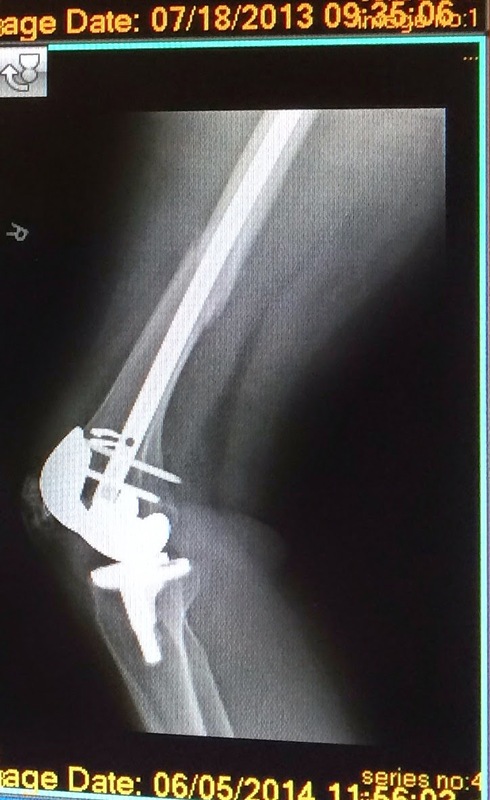 Here is what they pieces look like set up on my screen. 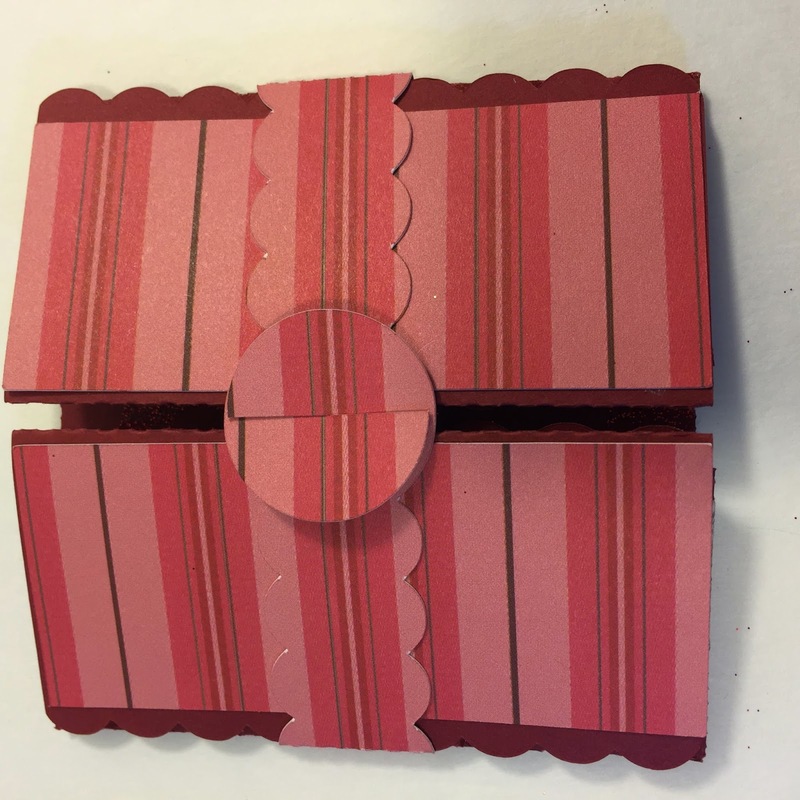 I used the TRN Red Classic Swirl for the box part of the card, and TRN Valentine Stripe for the accents. Since the score lines are already cut with the design, all I had to do was fold and add some scoretape. 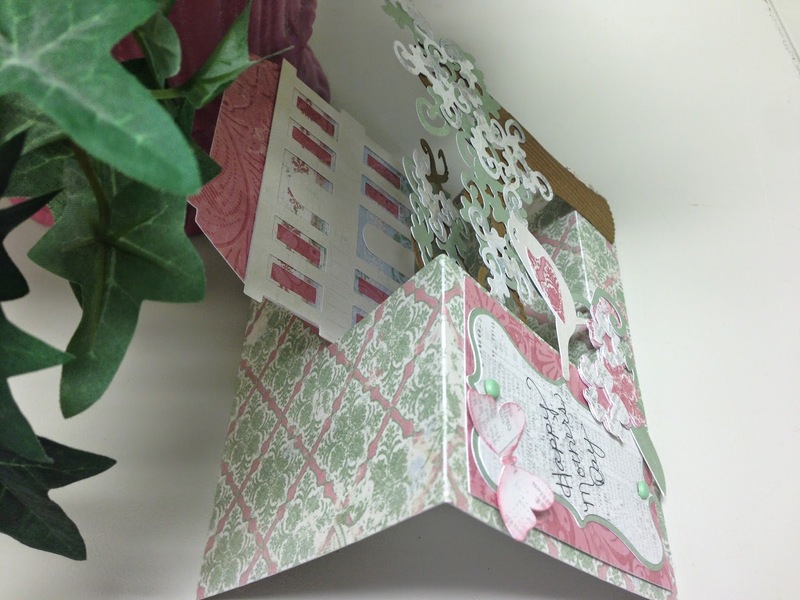 I adhered the accent pieces to the top and inside of the card and assembled the box. It went together so quickly and the papers just pop with each other! 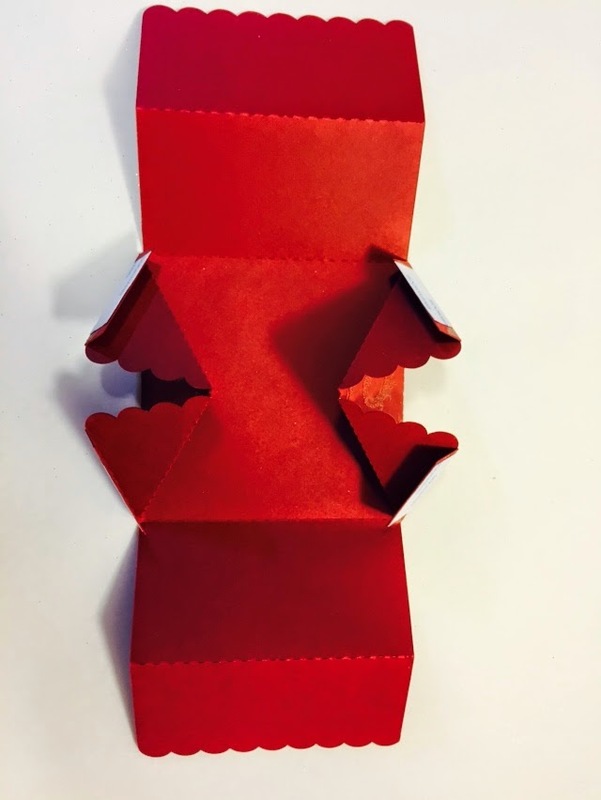 Once folded closed, the band goes around to keep it from popping open. 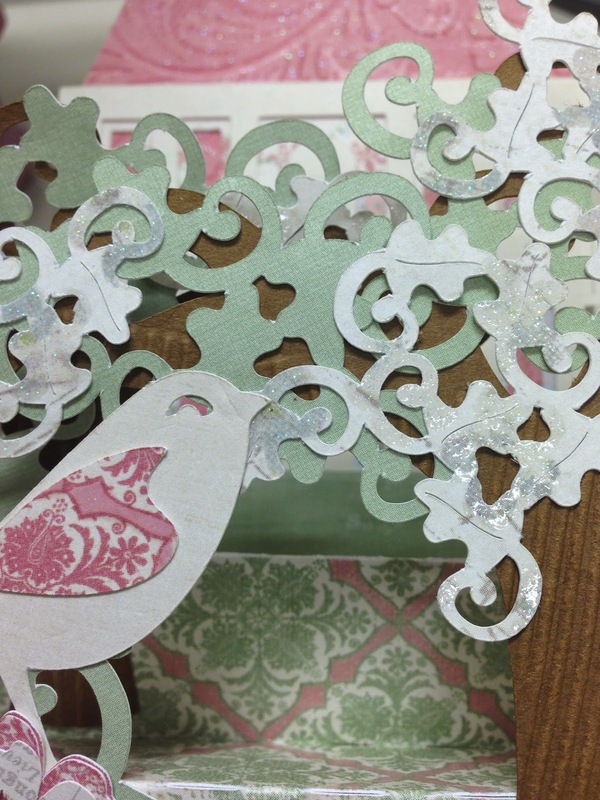 I found some cut little stickers in my stash from The Paper Studio called Christmas Holly. 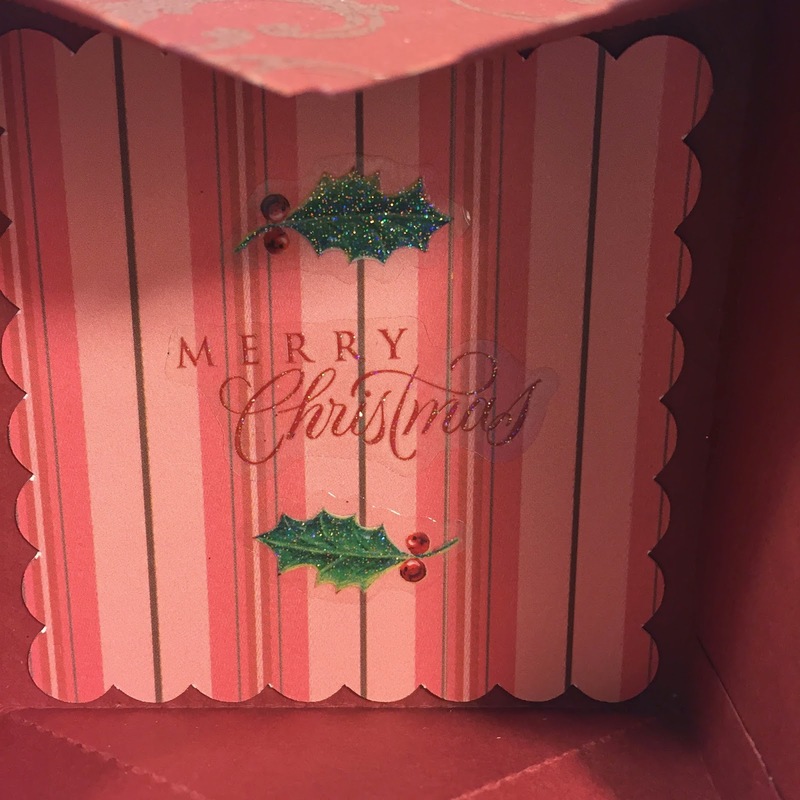 I placed them on both the outside and inside of the card. 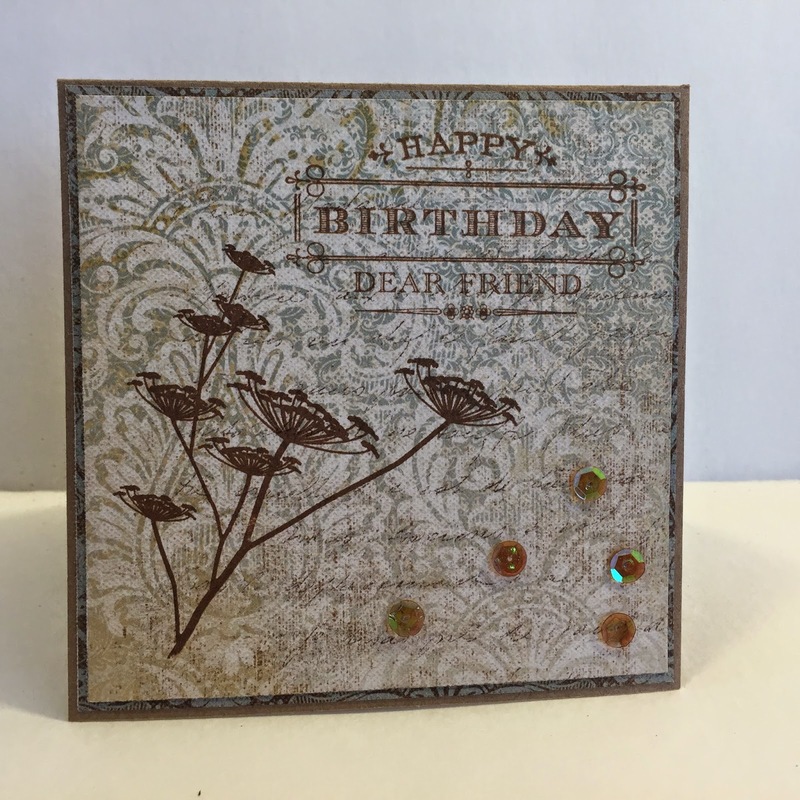 I added a couple more stickers and some green Dew Drops (which are stuck down with Patina Stickles to add a little glitter to them). 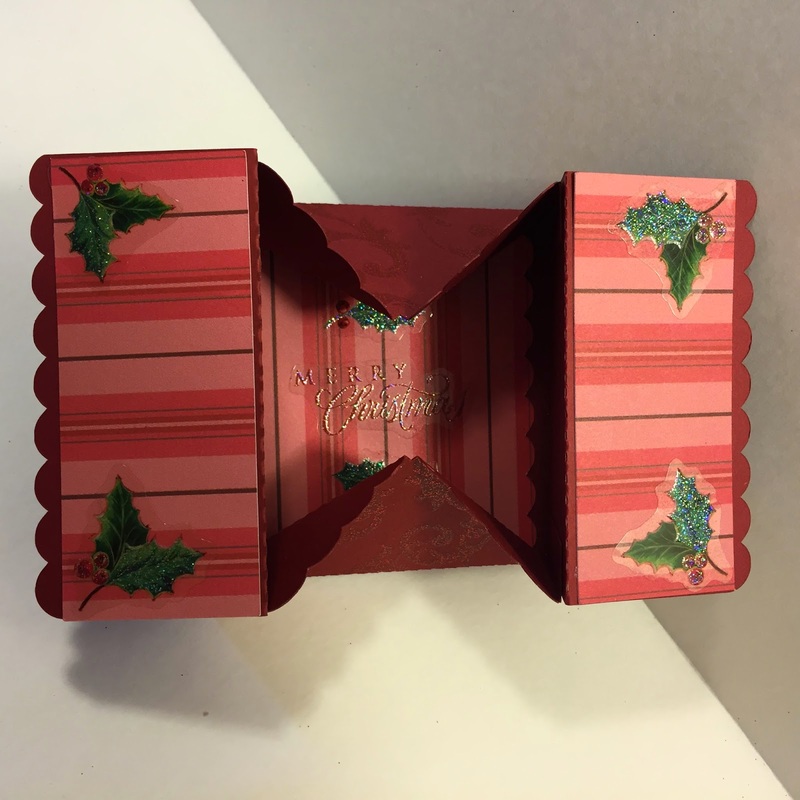 This 3D Box Card is perfect to tuck in a gift card or other small item. 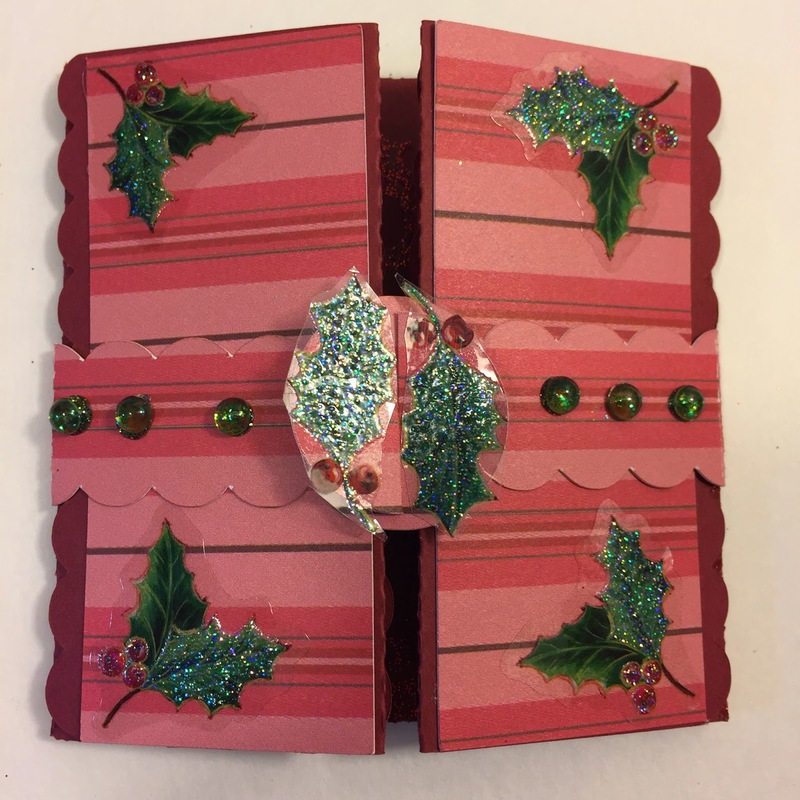 I think I'll be making several of these for the holiday season. Wish me luck on the Design Team! 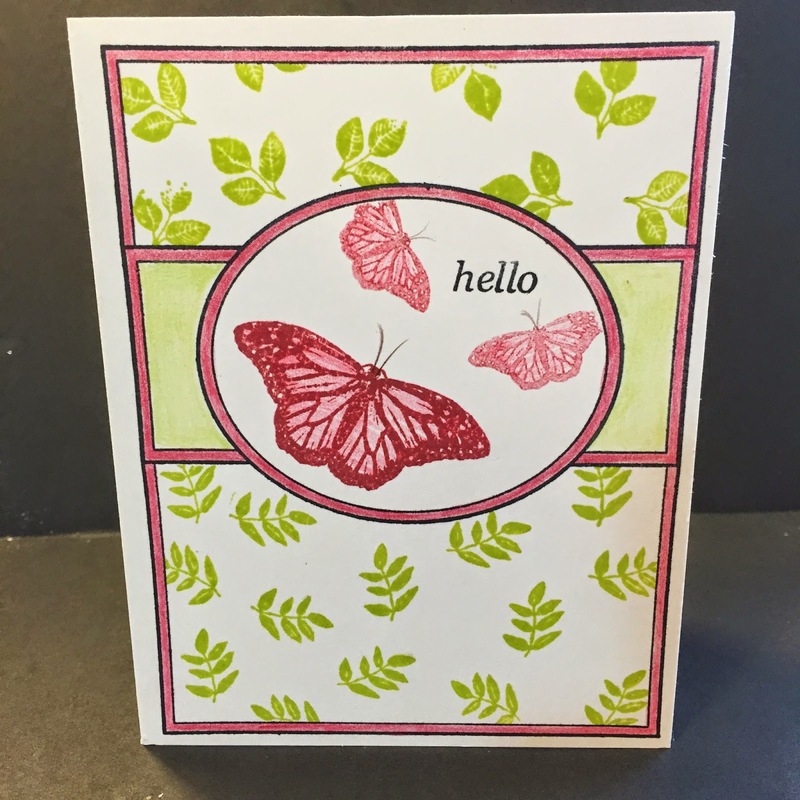 Also, as a bonus, I have included photos of a few other cards I whipped up recently. Hope you like them! Hope you are all inspired and like what I have to share with you today. 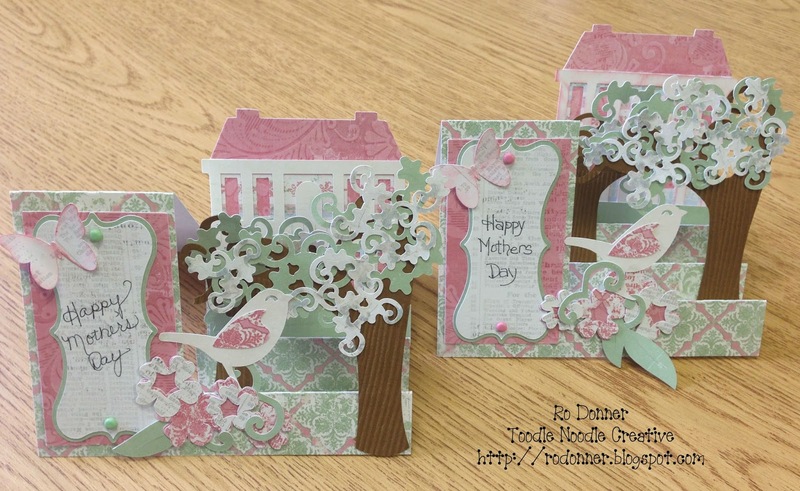 Create a project that celebrates mom. I hope all the mom's out there had a wonderful day. I think pampering should be in order EVERY day! This week's challenge is all about Moms. 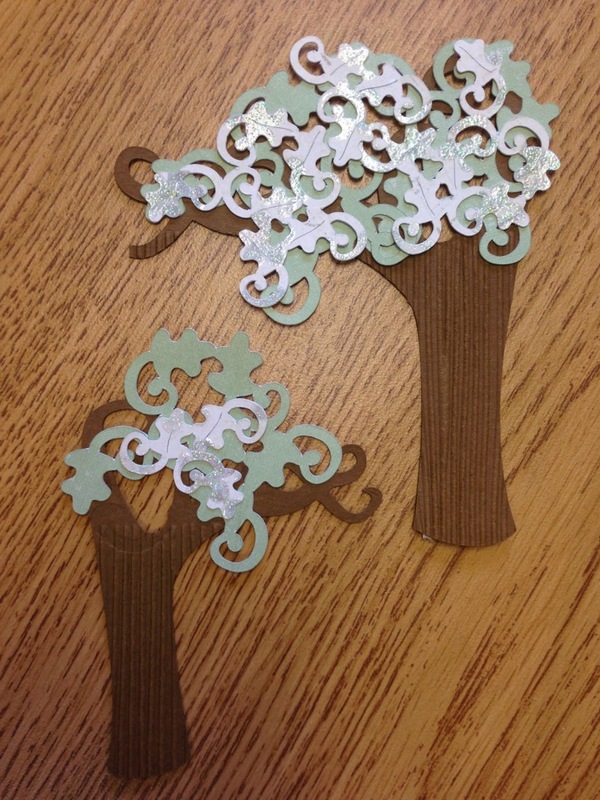 And SVG Cuts! 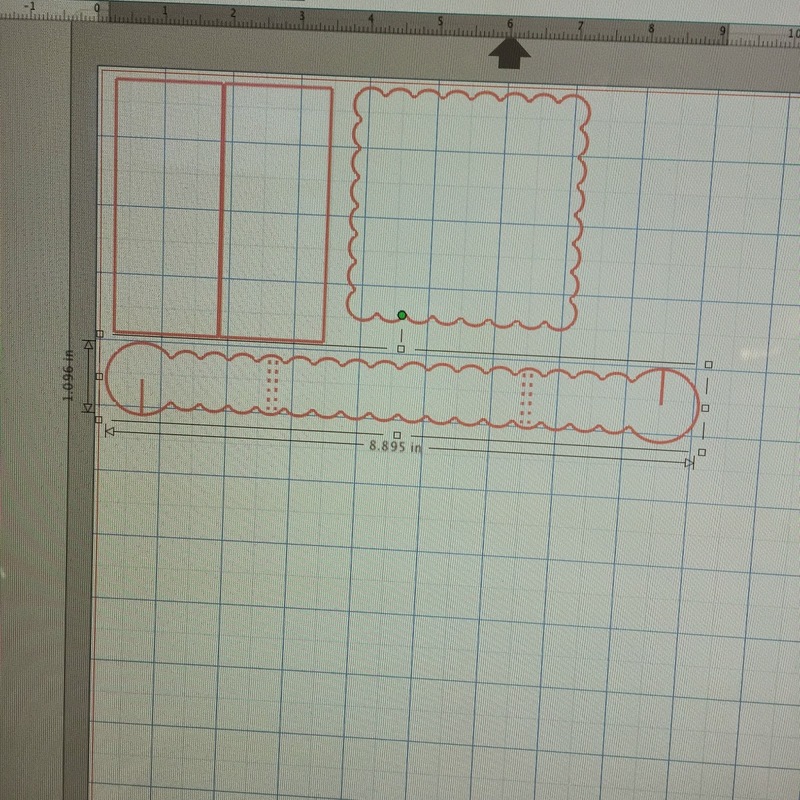 With the new Cricut Explore, you now have the capability to cut svg files. That feature opens up a whole new world of cutting opportunities! 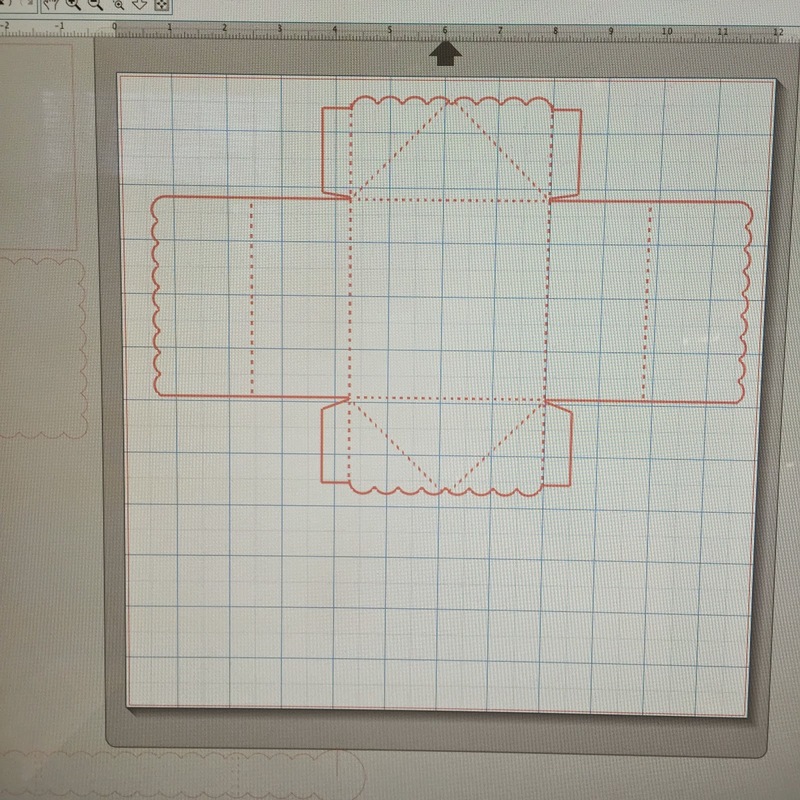 And SVG Cuts has graciously sponsored FCCB this week, so we could all get a taste of the wonderful files they offer and the fun you can have with your Cricut Explore (or any other electronic cutter that can utilize svg files, such as the Silhouette Cameo). 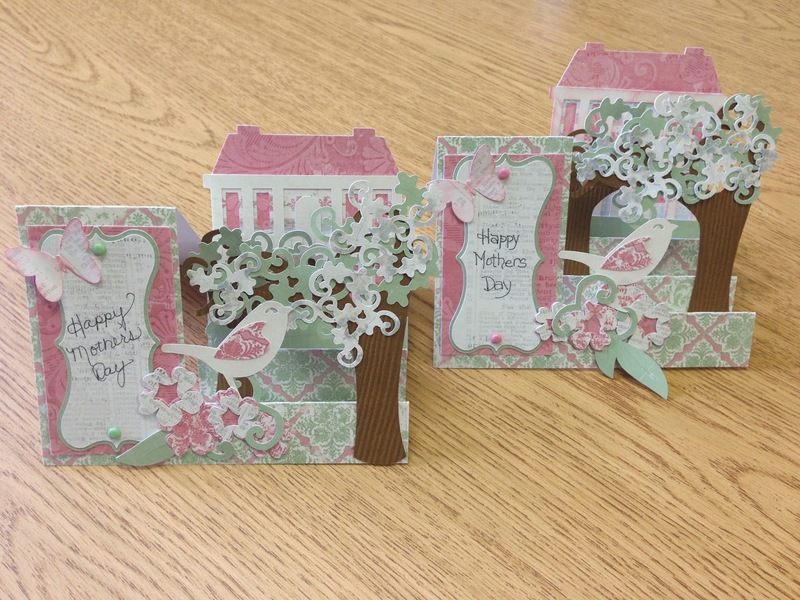 For my project, I made a couple of Mother's Day cards using the Edisto Island collection from SVG Cuts. 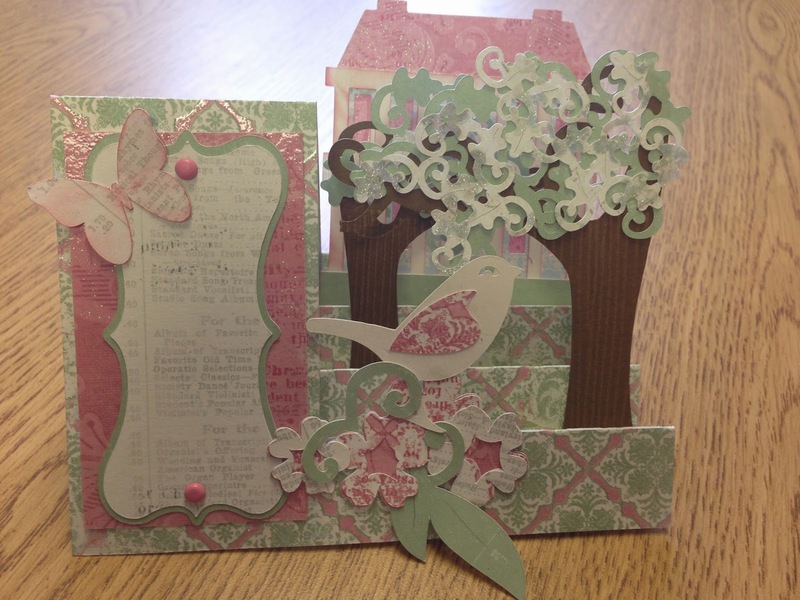 I used some beautiful DCWV papers for this project. 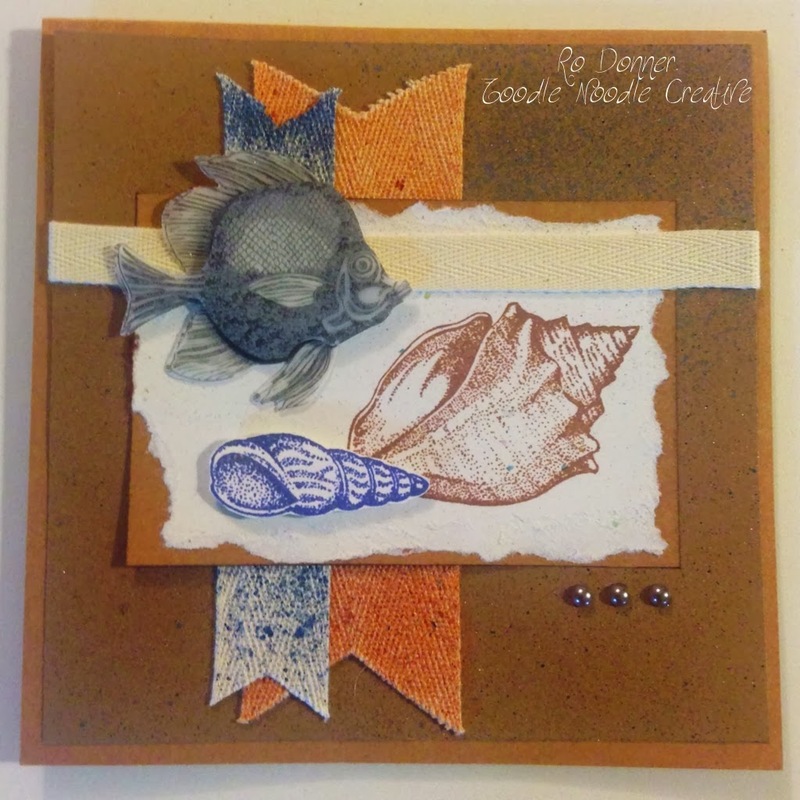 And all the layers and elements of this card are included in the collection when you download it, along with pictures of all the projects. Look at all the great stuff in this one collection...and they have many, many more! 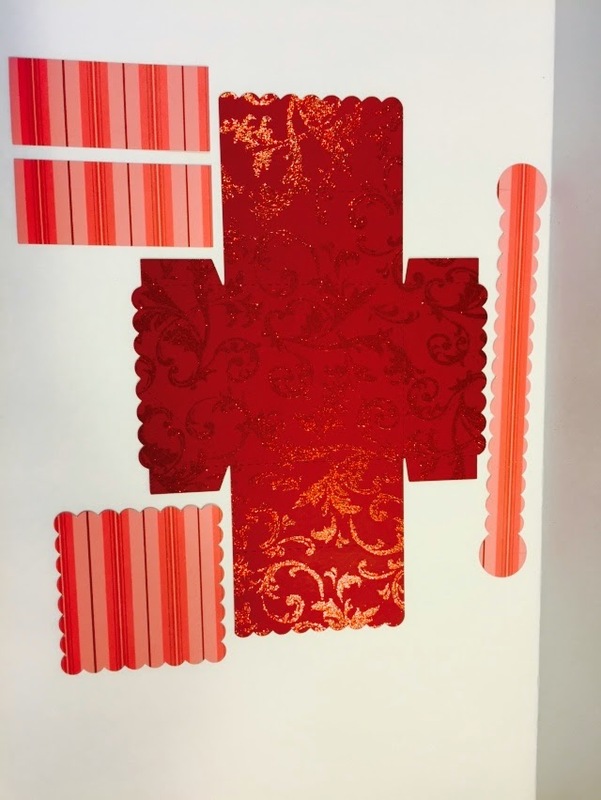 Here are all the elements cut out. I didn't have to resize any of the files. Just open and cut. 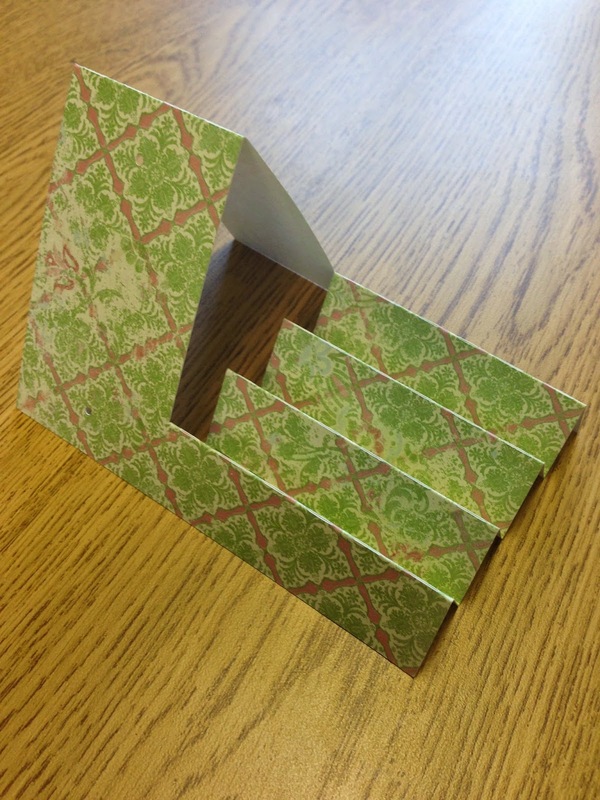 The card base is even pre-scored so you don't have to figure out folds! First step is to fold the base. Then begin assembling each element. I started with attaching the label with some brads. Then I assembled the adorable house. 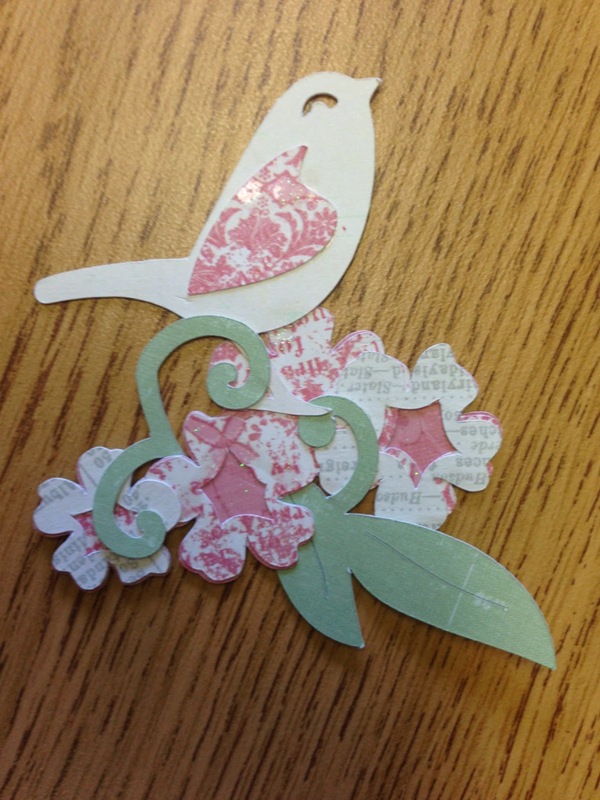 And finally the bird and flowers. 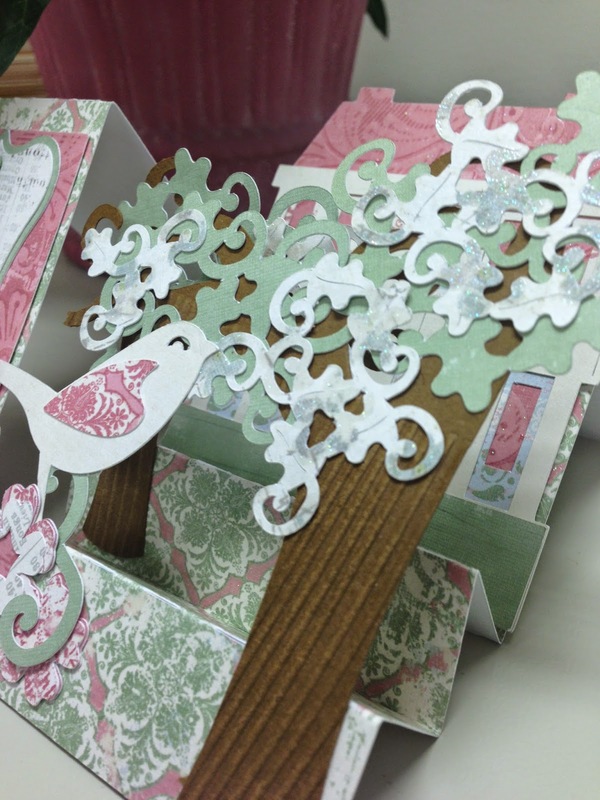 Once all the embellishments are complete, it's time to build the card. 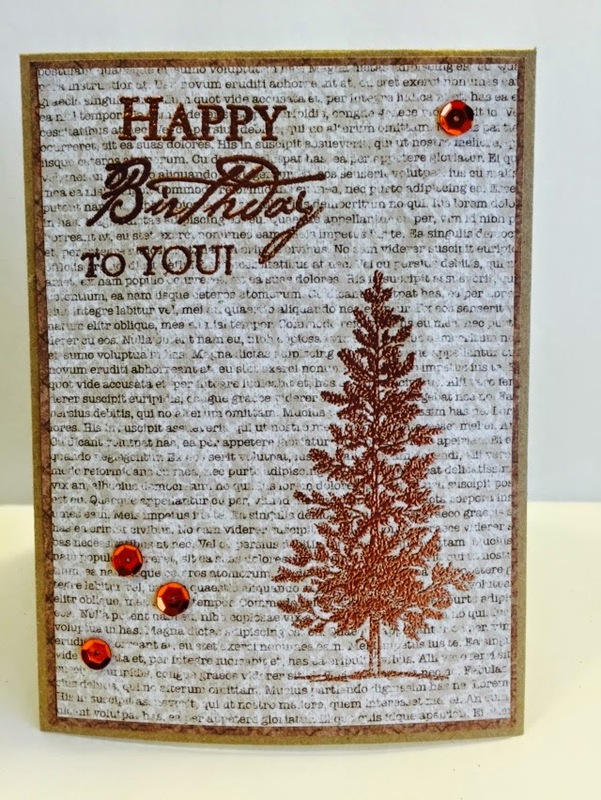 A simple hand lettered greeting, and the card is a masterpiece! The dimension and layering of these cards is truly amazing. I have to say, my mom LOVED her card. She's all "Oooooh, look at that! I love 3D cards. Look at this...oh, wait, you made it. You already know how cool it is." LOL. Yeah, mom. 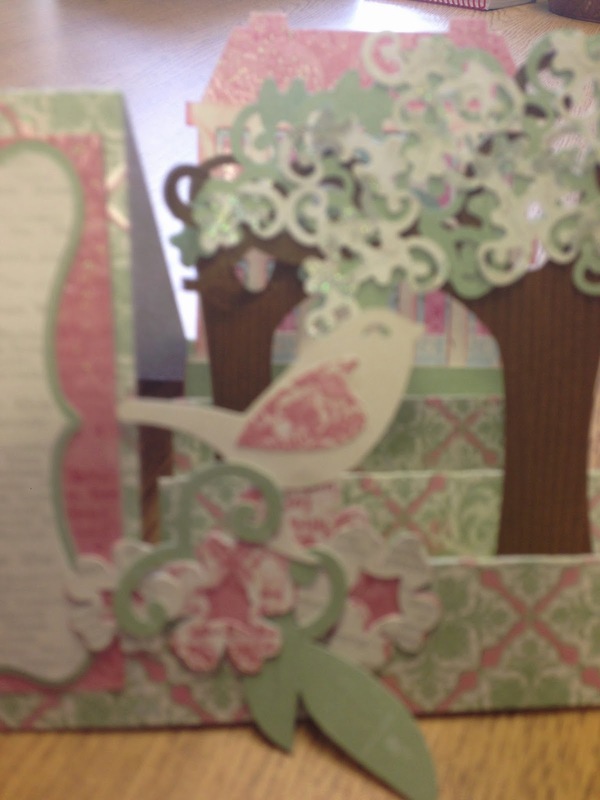 Awesome card for an awesome mom. Hope you enjoyed my projects as much as my mom did! And I sure hope you play along with us at FCCB! Great fun, great ideas, great prizes! 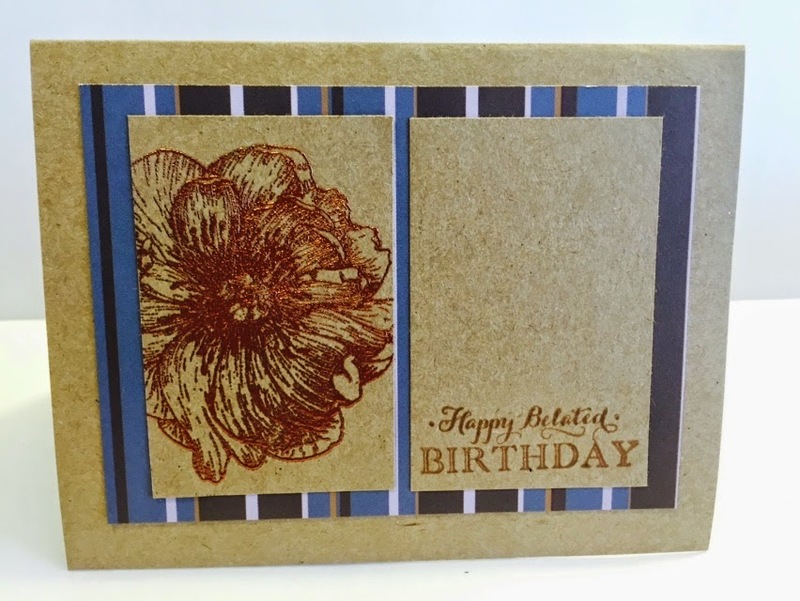 Today I have a super-simple card perfect for a young boy! 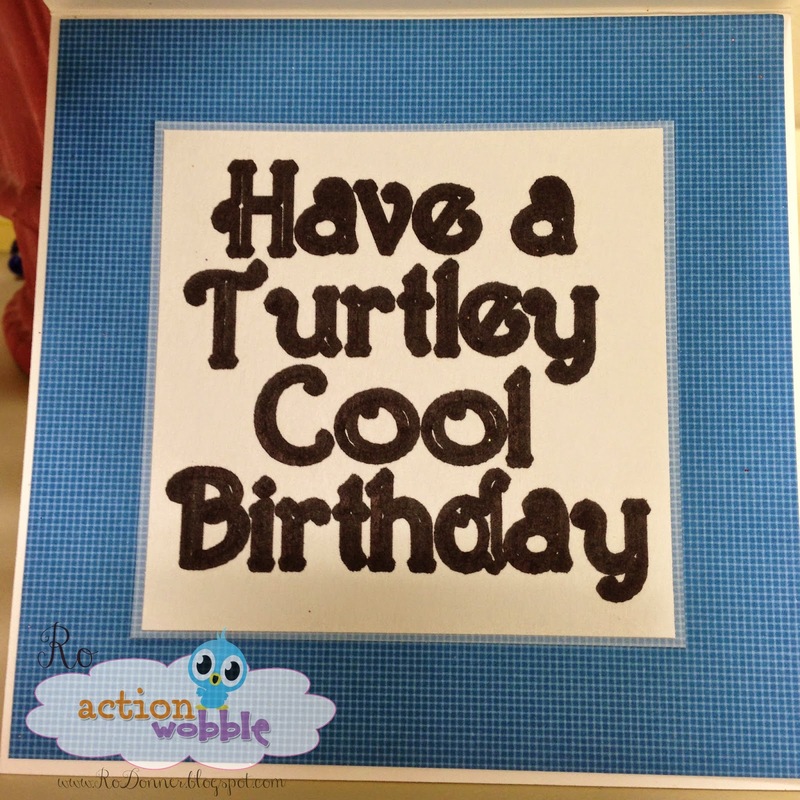 Since I don't have many (or any) little boy birthday cards in my stash, I took this opportunity to add a really cute one. 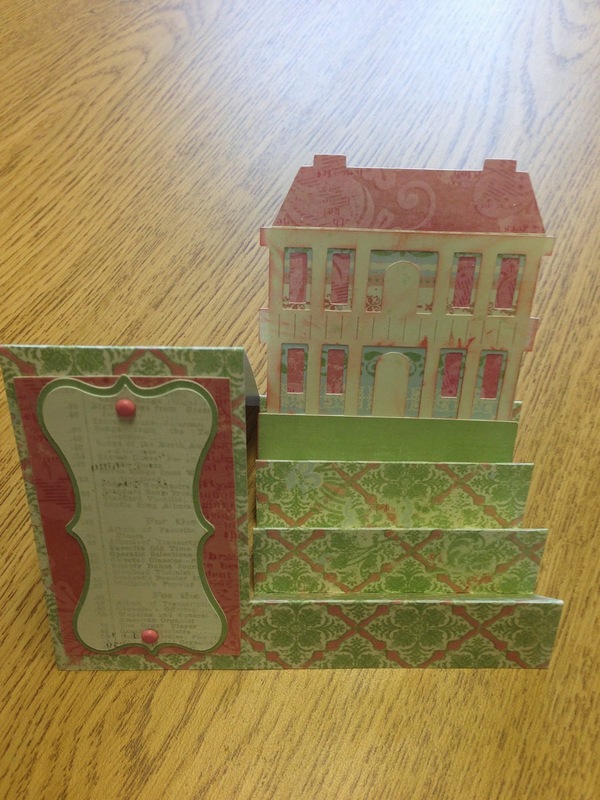 I used up some scrap paper and stickers from my stash to create this adorable card. 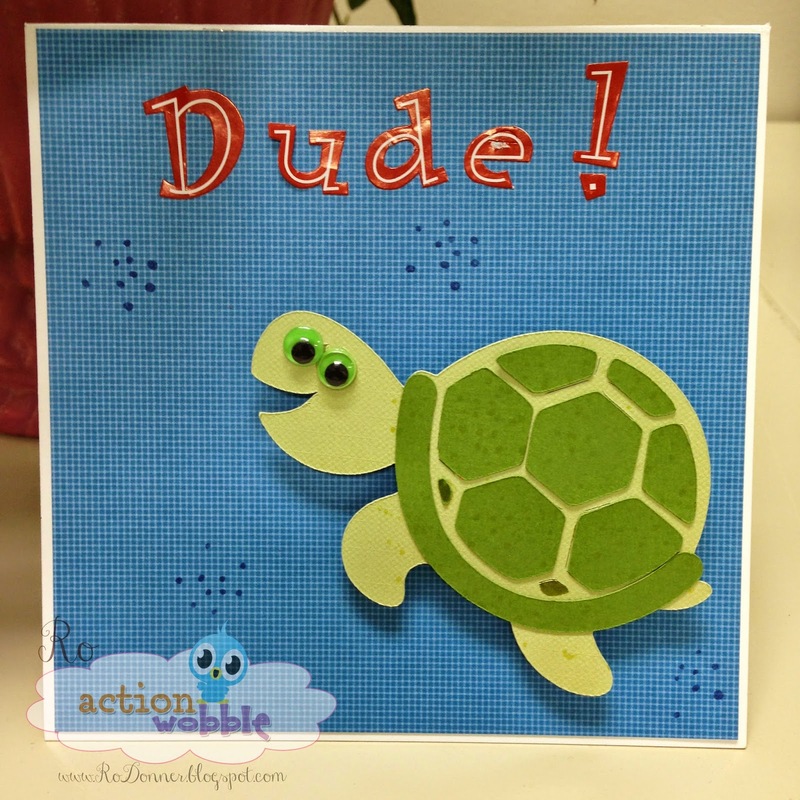 The turtle is from the Life Is A Beach Cricut Cartridge. I added some googley eyes an Action Wobble to bring him to life! For the inside of the card, I drew the sentiment using my Cricut and the Cricut Pens. 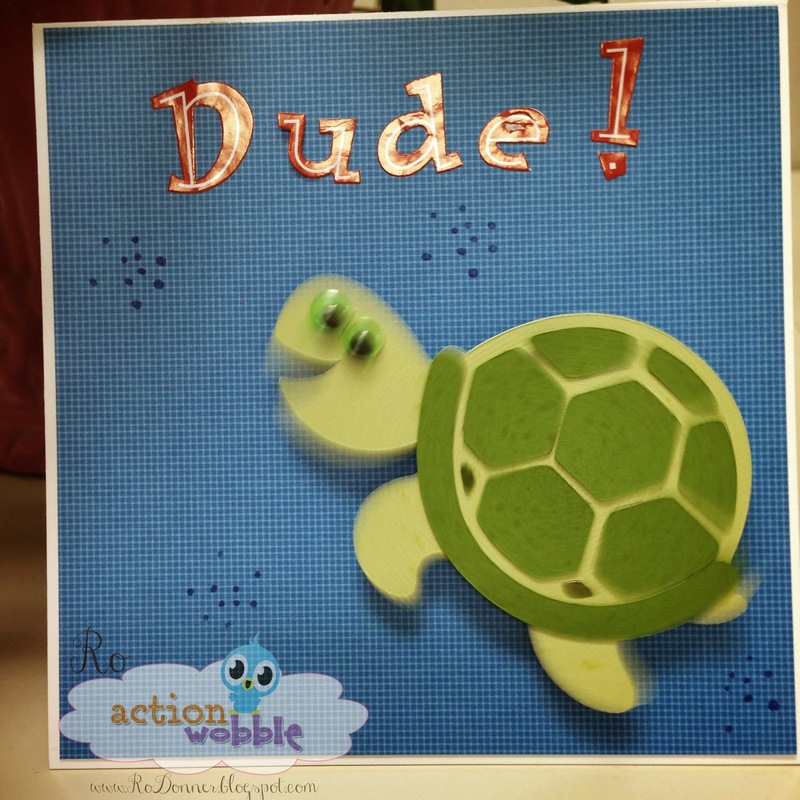 This cute play on words is sure to make any little boy giggle. Hope you got a chuckle today. 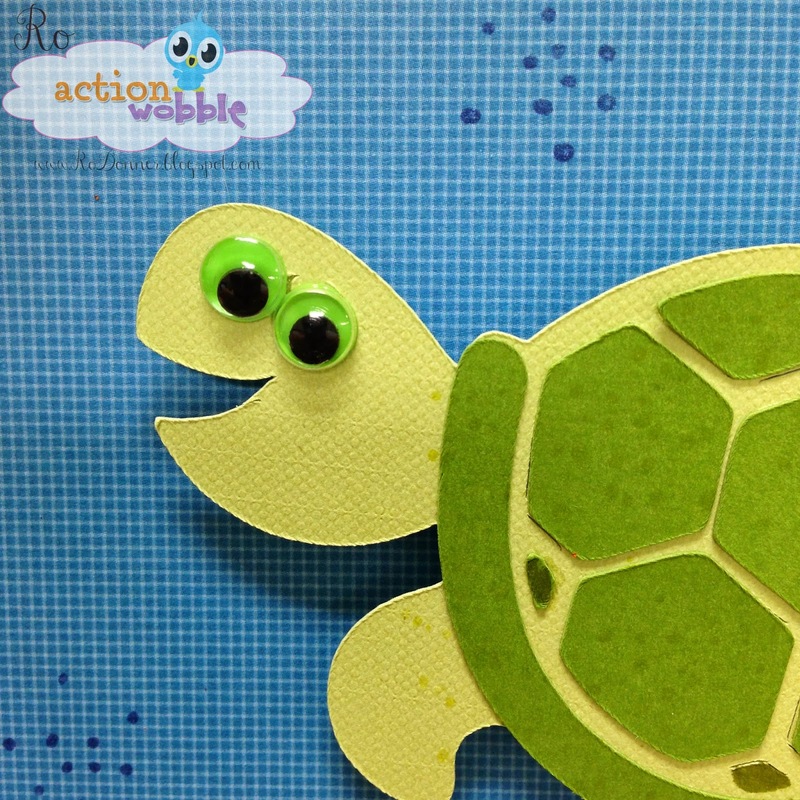 If you would like to see more ideas for using Action Wobbles, check out their blog (details below). You will find lots of cute projects from the Design Team! 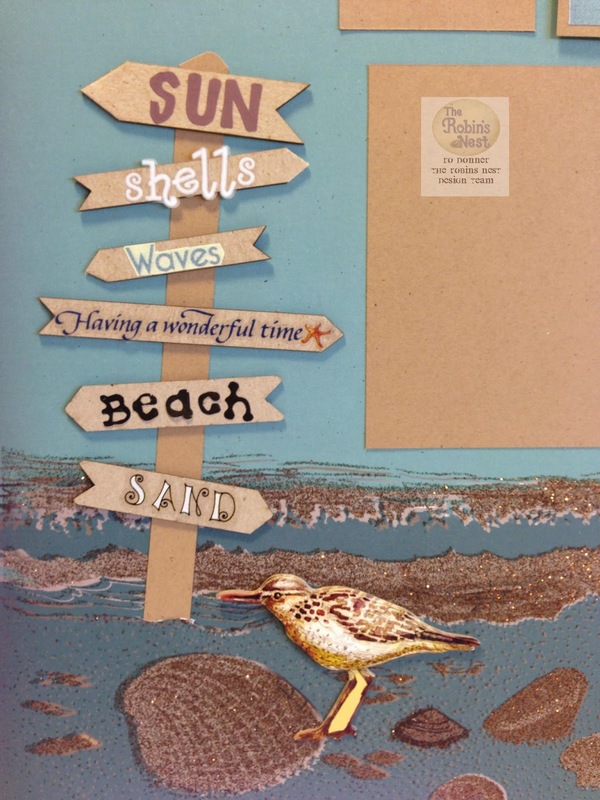 The papers and embellishments in the Beach Collection (20% off all month!) from The Robin's Nest are so deliciously fun, I couldn't stop playing with them. You all know I'm a card-maker. 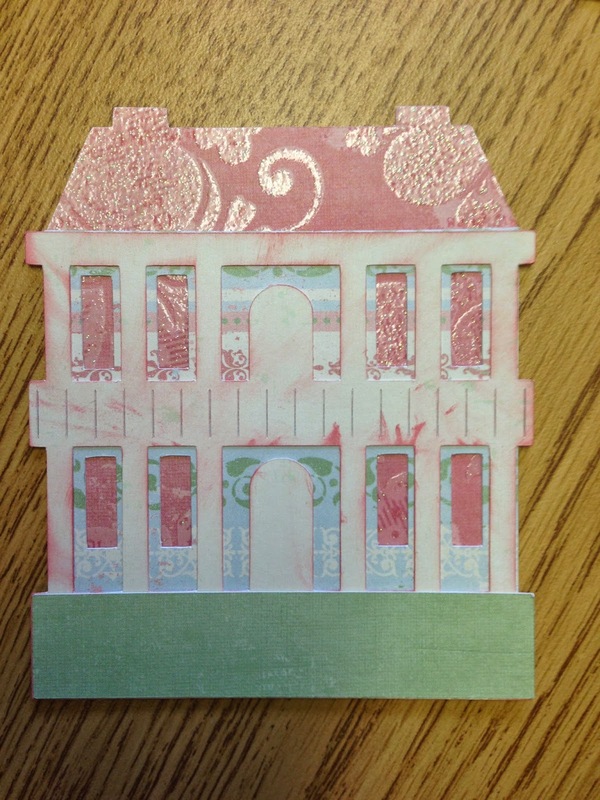 But sometimes a paper is just too pretty to cut down for a card. 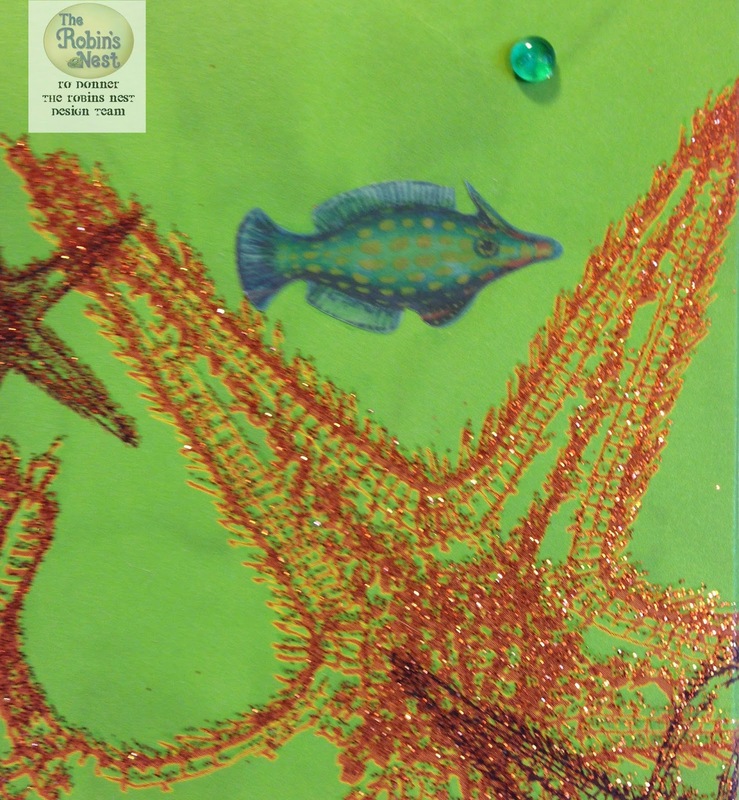 The Seashore Glittered Cardstock was one of those papers. 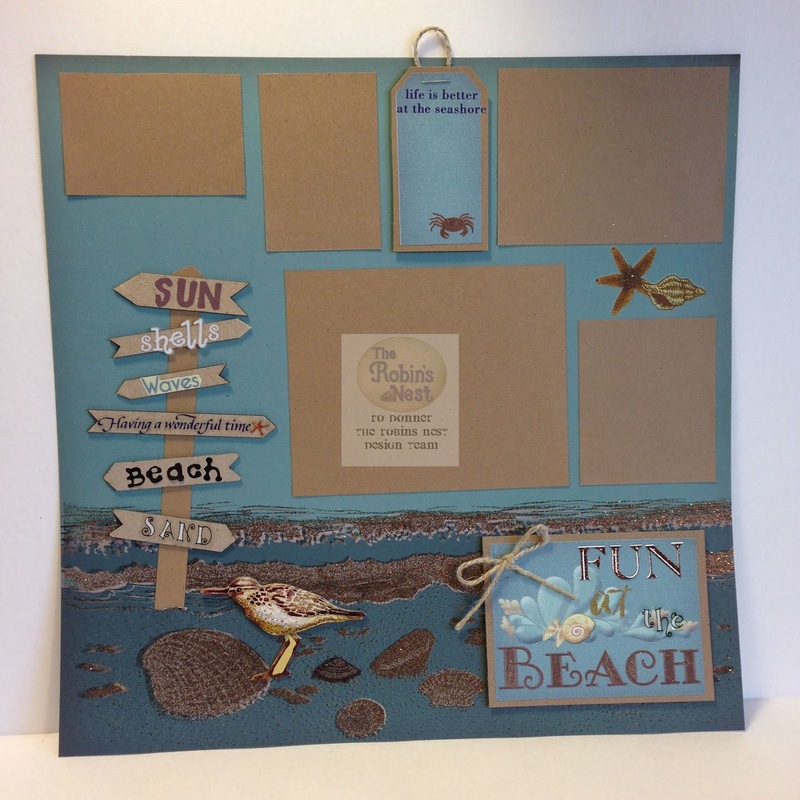 The rich teal and sparkly brown beach scene had scrapbook page written all over it. Well, by the time I got done with it, it did! I used some banners from Gina's Designs along with some stickers and rub-ons to create the sign post. I slid the base of the post under a slit I put in the paper and added a cute sandpiper. The title of the page started out as a sticker that just said "Beach". I added some stickers and rub-ons, and a touch of twine, to complete the title element. 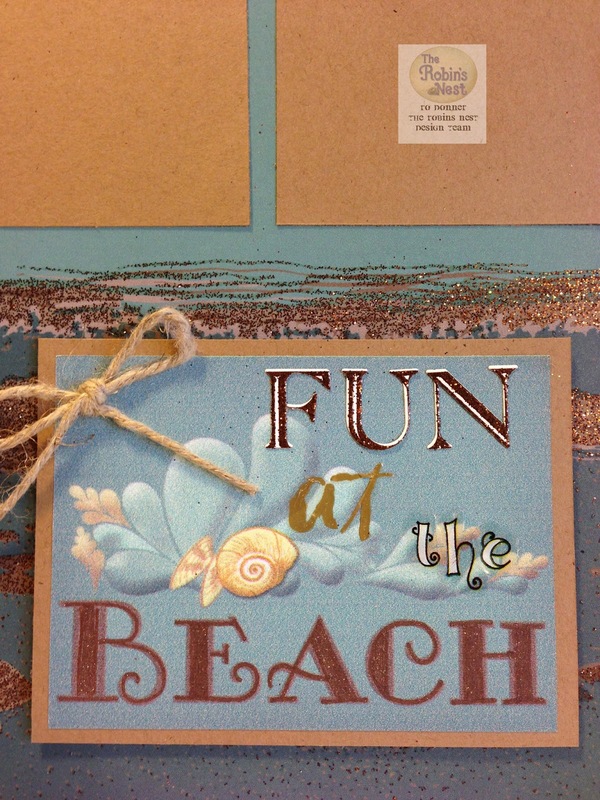 I added a little more twinkle to the word "Beach" using a bronze Wink of Stella marker. 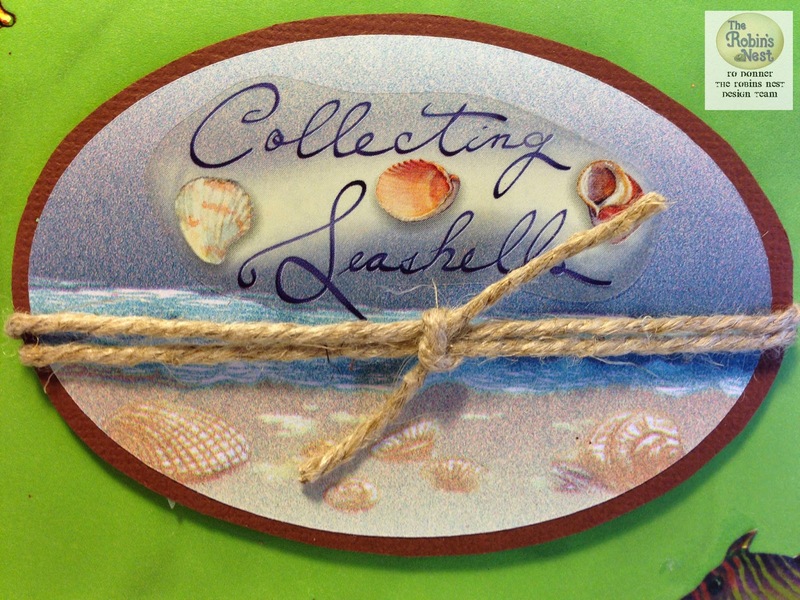 I used another tag and added a rub-on sentiment and piece of twine. This will be used for a little journaling. 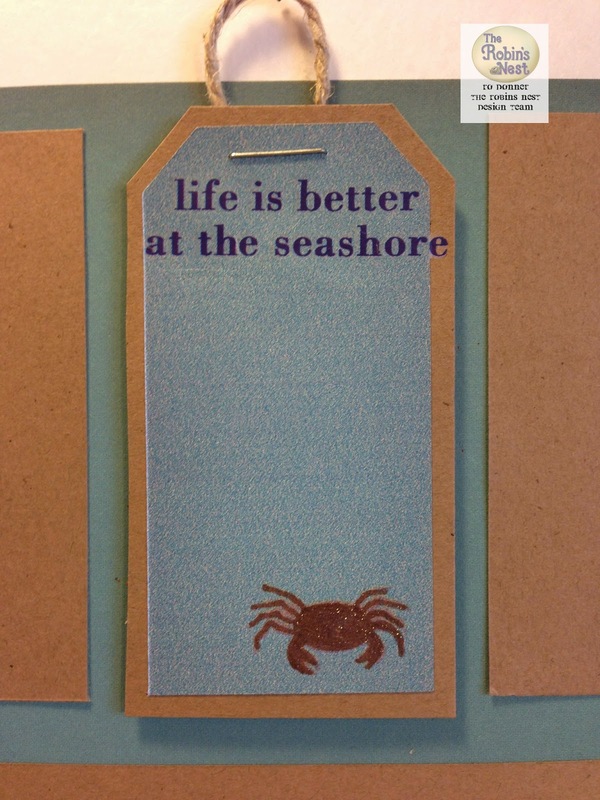 The crab was also highlighted with the bronze Wink of Stella marker. The kraft squares on the layout will mat the pictures, just as soon as I decide which ones to use. Or maybe I should just take a vacation and get some new photos for the layout! Hmmm...I like that idea better! I couldn't stop there though. 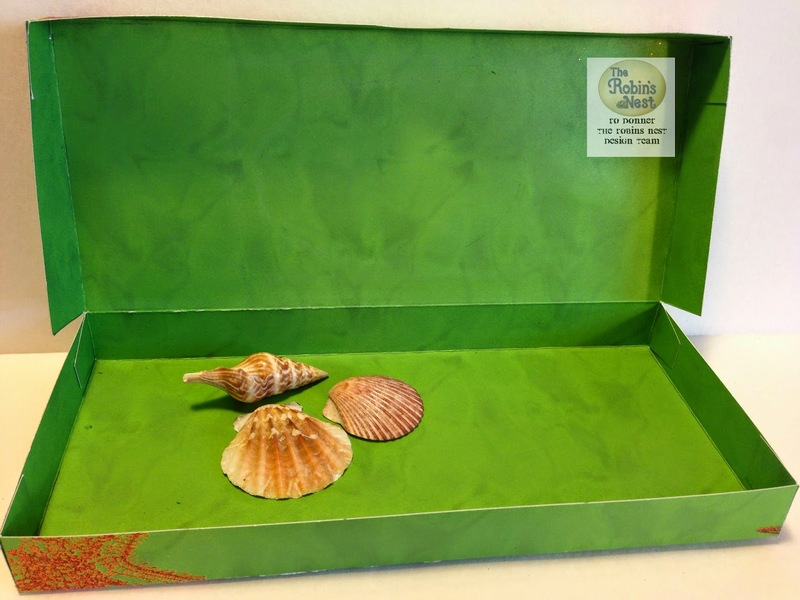 I grabbed the template from our co-sponsor this month, Green Sneakers, and created a seashell keepsake box. I used another sticker from TRN and added a sticker and some twine. 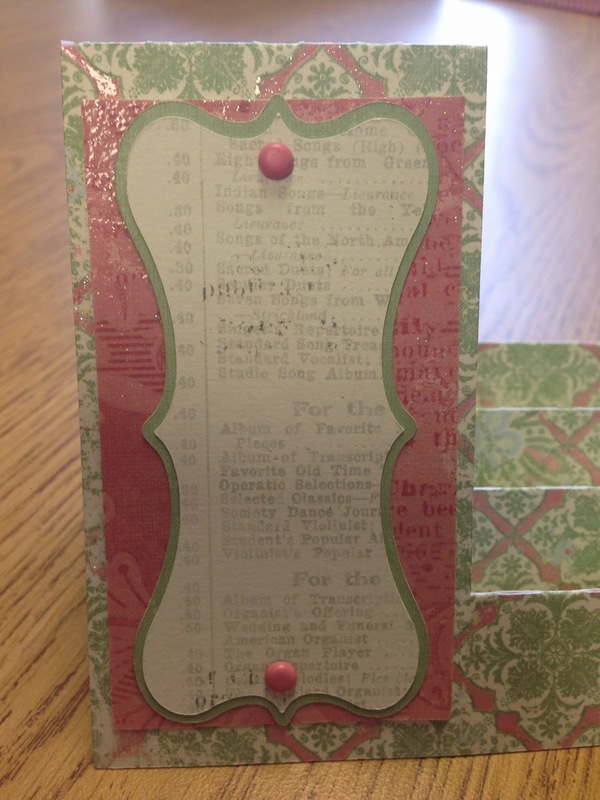 I also added some rub-ons and vellum stickers I found in my stash, along with a few teal Dew Drops. 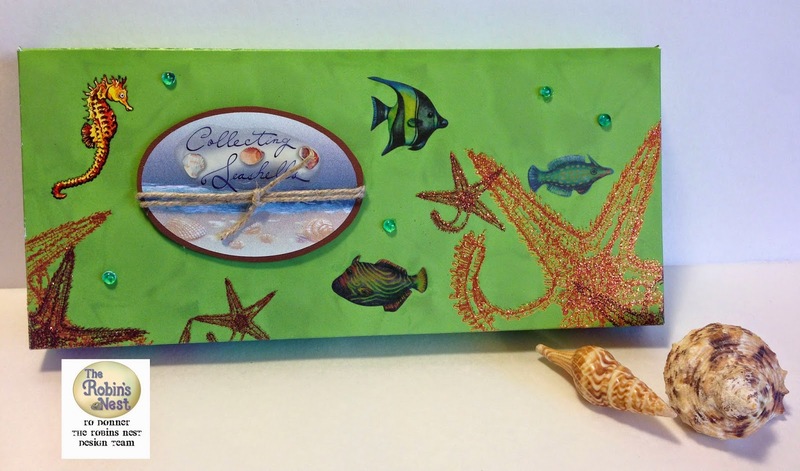 It will make a great little box to hold some shells and other beach objects. 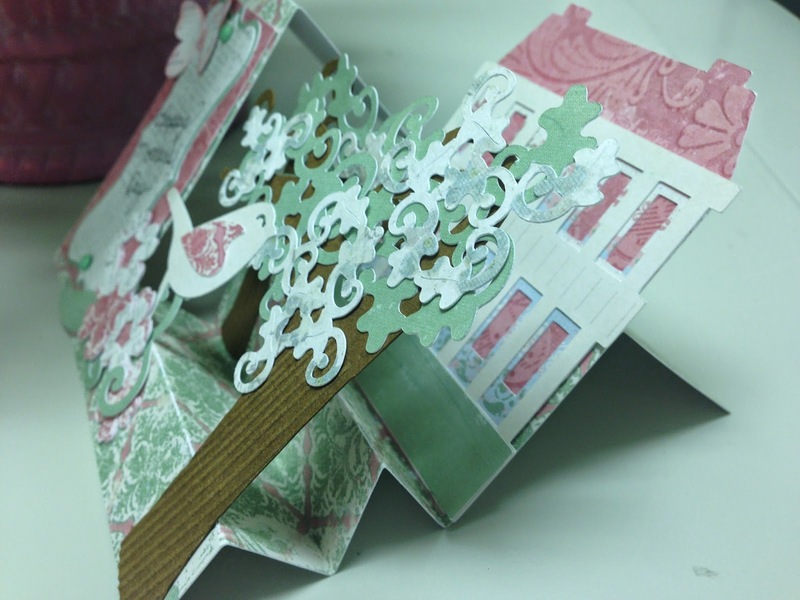 The inside of the box didn't need any work as this gorgeous paper is two-sided. 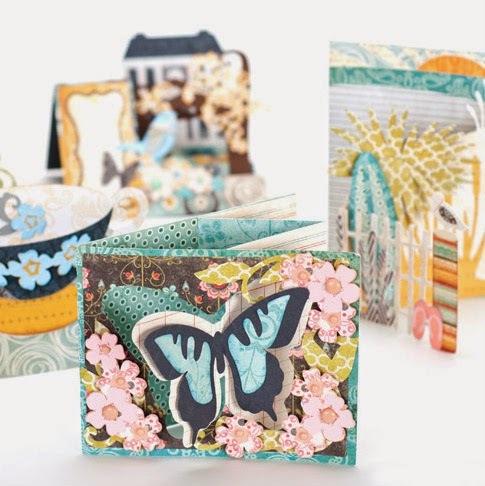 I hope you enjoyed my projects and are inspired to check out the Chattering Robin's Blog. They have so many beautiful projects, your head will spin.